Bidets are popular in Europe and for good reason. They allow a person to remain hygienic throughout the day, without having to shower in between. Bidets can be installed alongside your toilet, or a bidet toilet seat can be installed on your existing toilet to be multi-function. There are many different choices to select from, each with their own unique set of features. The Toto washlet is available with adjustable water temperature and volume. The seat is heated to maximize comfort. There is an oscillating comfort wash. The washlet is self-cleaning, so you don’t have to worry about keeping it clean. The washlet has a soft-close seat so it won’t abruptly slam down on you. It’s available in three different colors to coordinate in your bathroom. 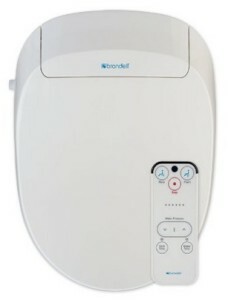 The Brondell Swash elongated toilet seat is gently sloped, and comes with its own wireless remote control to choose different features. There are posterior and feminine warm water washes to choose from. The dual nozzle is retractable, as well as being self-cleaning, to keep weekly cleaning to a minimum. The Brondell seat is ergonomically designed, making it comfortable to sit on. The lid is gently closing, and the seat is heated. There is an automatic power saving eco made so you can save on your hydro bill. 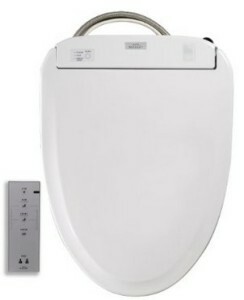 The Toto washlet elongated toilet seat is available in three different color choices. It has a toilet seat and lid. There is back and front warm water washing, and you can adjust the temperature and the pressure to your preferences. The toilet seat is heated as well, and can be adjusted to your favorite temperature. There is also a remote control to make adjustments. The touch pad is illuminated, for night time usage, as well as having a night light. You can preprogram in two different people’s preferences. The Toto washlet also includes a handy air dryer, so you can get dry before leaving the bathroom. A automatic air deodorizer will keep your bathroom smelling fresh. 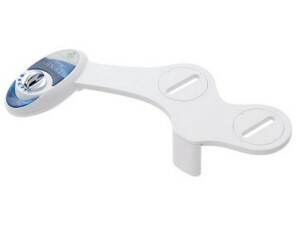 The Luxe bidet Neo is a toilet seat attachment available in blue or white. It’s a great option when you can’t afford an expensive bidet seat and lid. It has a chrome plated pressure control knob, and high-pressure faucet quality valves that will help you to feel clean. The valves have a metal and ceramic core. The nozzle is moveable and it retracts back into place when you don’t need it. This Luxe bidet will easily attach to any standard two piece tank and bowl toilet. It installs and uninstalls easily, so if you move, you can bring it with you. When your bathroom doesn’t have enough space for a separate bidet, installing a bidet toilet seat is your best solution.